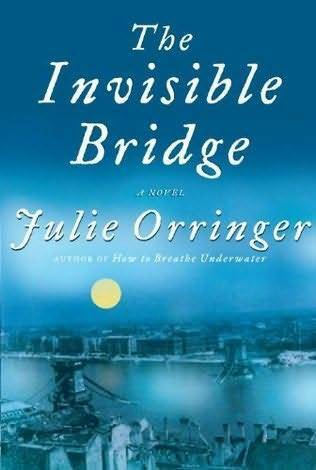 The Invisible Bridge takes us through a dark part of world history. In the late 1930s, Europe is starting to see changes wrought by the insidiously spreading influence of Hitler's Nazi government. Andras Levi is a Hungarian-Jewish architecture student. His brother is studying medicine in Modena, his younger brother has run away from home to become a performer and his parents are at home back in Budapest. New laws are passed on an almost weekly basis limiting what Jews can do, where they can travel, study, work, live. Miraculously Andras is able to secure a spot at a prestigious architecture school in Paris, France, despite the obstacles and for a short time all seems to be falling into place for him. Unfortunately, his good luck doesn't last long as he is forced to abandon his schooling and return to Budapest, and eventually called up to join the work service Munkaszolgalat, building roads and clearing forests for the military. I can't chronicle the whole almost 600-page story here, but of course there's a love interest. A tragedy in her past complicates their desire for a peaceful life, but they are finally able to be together and start a family. As with most stories set during this time period, they have more than their share of trouble and pain, but they are able to find joy even in the most desperate of situations. Every character is so well-drawn. They are so human, so real. They are well-intentioned and flawed and deep, and show different facets of who they are. "Good" people do questionable things. "Bad" people sometimes surprise you with unexpected kindness. Vago himself leaned back in his swivel chair, his fingers laced behind his head. "So," he said to Andras. "Here you are, fresh from Budapest. I'm glad you came. I didn't know if you'd be able to make it on such short notice. But I had to try. It's barbarous, those prejudices about who can study what, and when, and how It's not a country for men like us." "But--forgive me--are you Jewish, Professor?" "No. I'm a Catholic. Educated in Rome." He gave his R a deep Italianate roll. "Then why do you care, sir?" Over and over again, in the midst of the unspeakable cruelty committed by "many," the kindness of "some" shines brightly. Characters like Vago, who is not Jewish, speak out against this "stain upon humanity, this Jew-hating dressed up as nationalism. It's a sickness." While being brutally used on work teams doing excruciating manual labor far from home on little food and in terrible conditions, Andras and his friends find small ways to fight back, such as creating a newspaper mocking their officers in the work service. Andras finds compassion in unexpected places. When he receives an emergency telegram informing him that his wife has delivered their child five weeks early and both she and the baby are ill, he approaches the company commander during dinner. The commander mocks him in front of the other officers, taunts him with the image of his loved ones dying, and refuses his request to return home. A General Merton, visiting for an inspection, stands up and with anger and disgust in his voice, dresses the commander down ordering him to apologize, and personally escorts Andras to Budapest hospital where his wife and son are that very night. Another recurring theme is that of responsibility. Who was responsible for the tragedies and the pain caused? How far back does the chain of cause and effect reach and who bears the ultimate responsibility for what happens? Most interesting to me was some characters' insistence on claiming responsibility for events out of their control, with a "novel kind of desperation, a brand of desire," simply as a way to assert their humanity, their existence. "Why would a man not argue his own shameful culpability, why would he not crave responsibility for disaster, when the alternative was to feel himself to be nothing more than a speck of human dust?" The Holocaust provided ample opportunities to view humankind's almost inexhaustible capacity for both cruelty and kindness and The Invisible Bridge follows suit, leaving us ultimately hopeful in spite of the horror.